-- Ariel is fascinated with life on land. On one of her visits above the surface, she meets a human prince and falls in love. Determined to be with her true love, she makes a risky deal with an evil sea witch and trades her voice for legs. Ariel embarks on the adventure of a lifetime but soon finds the fate of her father's kingdom is in her hands. This collectible storybook includes beautiful, full-color art in the style of the beloved film, The Little Mermaid. • The Little Mermaid Ariel's Beginning/Return to the Sea DVD -- Long before Ariel walked on land and into Prince Eric's heart she was one of seven beloved daughters of powerful King Triton. But times were troubled in the underwater kingdom - and the music was banned! In this magical adventure, Ariel, her fun-loving sisters, and her loyal friends Sebastian and Flounder strive to bring music and friendship back to Atlantica featuring breathtaking animation and some thrilling surprises. • Disney Baby Bath Squirt Toys -- What could be more fun for little bathers than hanging in the tub with their favorite Disney friends? Each of the toys in the Disney Squirt Toys 3-Packs is cute, colorful, and perfectly compact for little hands. 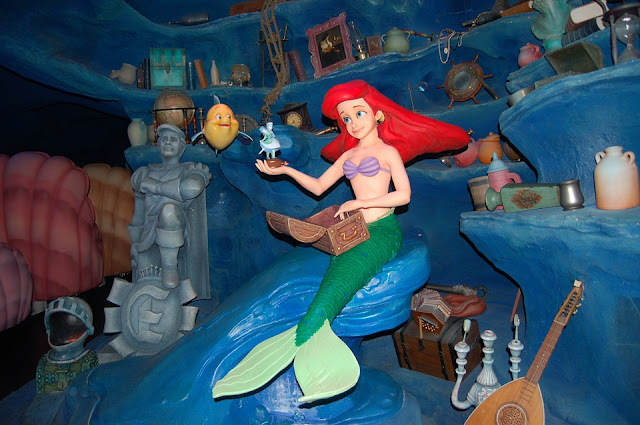 Kids will love the squirting action and playing in the tub with The Little Mermaid characters. • Ariel Magnetic Dress-Up Wooden Doll -- Ariel's mix-and-match fashions are sure to make a splash! Kids can combine the 30+ sturdy wooden magnetic pieces to tell the tale of the Little Mermaid . . . or create their own fashion story! - Jimmy Kimmel has declared a new holiday on November 17th - National UnFriend Day. NUD is the international day when all Facebook users shall protect the sacred nature of friendship by cutting out any friend fat on their pages occupied by people who are not truly their friends. Get ready to unfriend! - for enjoying the sickly sweet dessert called Baklava. A popular sweet pastry found in many cuisines of the Middle East and the Balkans, made of chopped nuts layered with phyllo pastry. So call up all your friends and family and get ready to share this treat with everyone. - A day for the family to remember and enjoy the making, baking, and eating of nutritious homemade bread. - Walking, and hiking is an excellent way to get exercise and get into shape. Hikes are distinguished from walks, since they are taken in the woods, hills, mountains, or somewhere else in a natural setting. Hikes not only give you exercise, but they also provide scenic sites and vistas, good for relaxation of the mind and soul. - The date commemorates the anniversary of the 1939 Nazi storming of the University of Prague after demonstrations against the killing of Jan Opletal and worker Václav Sedláček as well as against the occupation of Czechoslovakia, and the execution of nine student leaders, over 1,200 students sent to concentration camps, and the closure of all Czech universities and colleges. Due to this, 17 November was chosen as International Students' Day. - encourages us to be kind to others, and teach others to be peaceful. Please do your part to promote peace on this day. If we all act on this issue, we theoretically could make war and strife obsolete. - A great day to tell farmer jokes, relating to those who work on the farm, those living near farms, and jokes about the daily routines that come with farming.